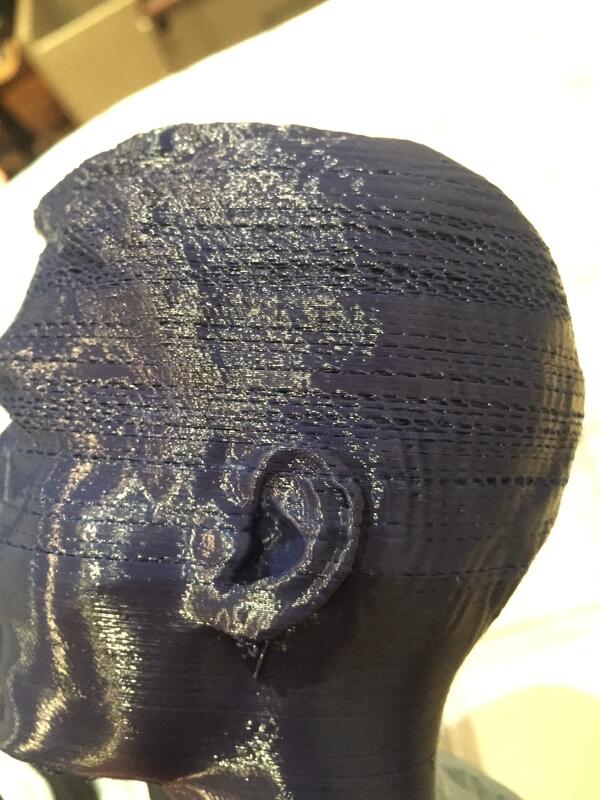 Hey Guys, I am having issues with extrusion on my Ultimaker Original, with the Dual Extrusion upgrade, as well as the heated bed upgrade. Any help would be greatly appreciated. Thank you! 50mm .2mm layers, 210C is too cold or too fast. 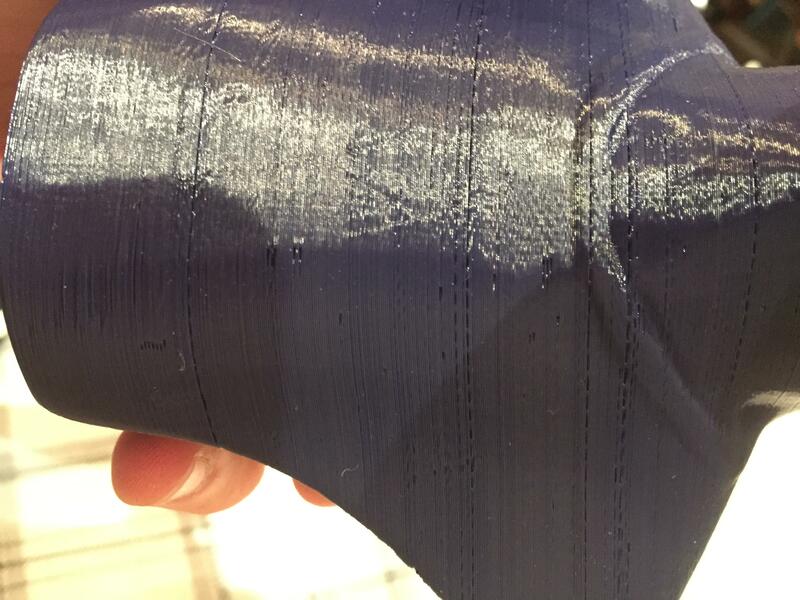 You are getting intermittent underextrusion, probably when the filament is slightly stuck on the spool as it is probably "on the edge" the whole time. 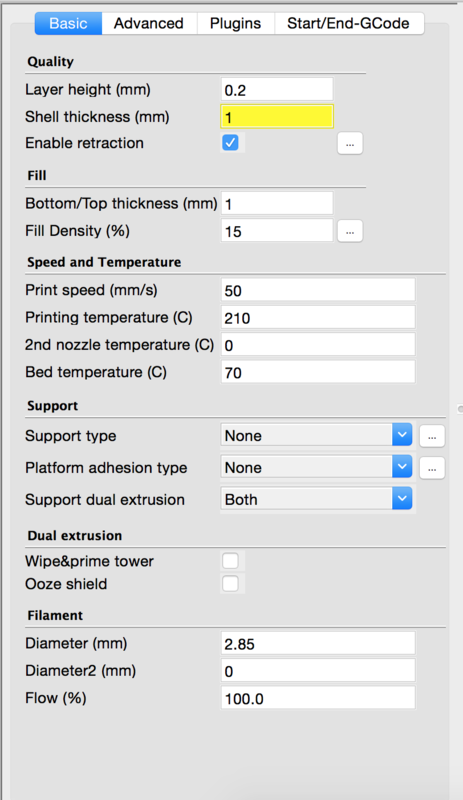 I recommend you increase temp to 240C if you are going to print thick layers at 50mm/sec or print thinner layers, or slow down the printer, or some combination. 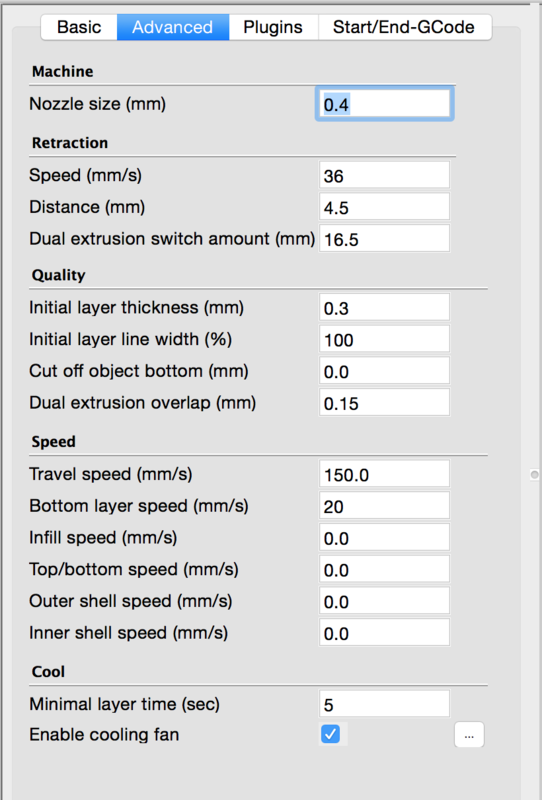 You will also get better quality at slower speeds - I would actually recommend 35mm/sec, .2mm layers, 220C.